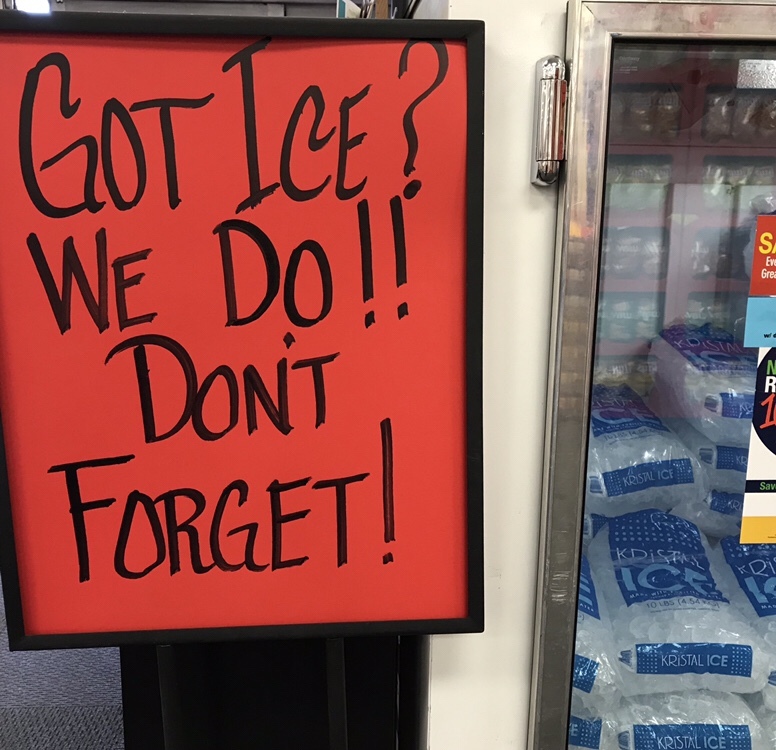 Here’s a sign at our grocery store, reminding everyone not to forget ice. We’ve done this a lot…buying a bag of ice at the check-out counter, then walking out without getting it. Then, we have to go back to the store to get our ice we paid for. Yes, oh my goodness, I do love to forget ice. And sometimes, I like to pay for it at checkout and drive off without picking it up. Why do we continually do that, Joey? That and stamps. We buy them at the check out, too, and they forget to give them to us.